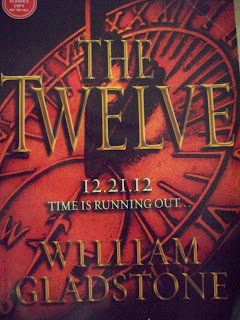 In this tale, William Gladstone has the reader following the life of Max from his birth until the end of the Mayan calendar - 12/21/2012. During his life Max lives in a constant state of change. He travels the world, does many jobs, loves different women, and befriends people of varying backgrounds. Max has a near-death experience in his youth that leaves a mystery for him to solve. There are twelve names, each associated with a color, that he knows are important for him. Unfortunately he only remembers the name of the final person. As time passes he begins to meet these people without knowing the connection they all share. As Max finally approaches the meeting of these twelve people, he realizes the scope of their importance. He will also learn to accept his role in this world-changing climax. Gladstone carefully mixes the meetings with the twelve people in with the telling of Max's life so that his personality is a pivotal part of figuring out the final element of the book. The book is fiction that pulls from beliefs held by others. It is a fascinating read if one is able to lose themselves in the reality the book presents. By the end it felt as if Gladstone was being overly soapboxish. Even with this, it is an enjoyable, easy read.